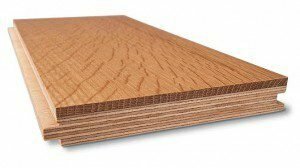 “What’s the difference between solid hardwood & engineered wood?” – The most common question our clients ask when it comes to selecting new wood floors. With our crazy Indiana weather – high humidity in the summer and dry air in the winter – engineered flooring is proven to be more stable due to the multiple layers of fiberboard that make up its interior. This minimizes the amount of expansion and contraction between planks and helps prevents gaps and buckling of the boards as the seasons change. Being that engineered flooring is very stable, longer and wider planks are able to be used (and are quite popular nowadays too!) Lengths as long as 84” with widths up to 12” allow for unique looks when installing these floors throughout the entire home. Typically, if homeowners are interested in 5+” wide planks, it is highly recommended to install an engineered wood. Solid hardwood floors require a glue-down, nail down, or staple installation atop a wood subfloor. 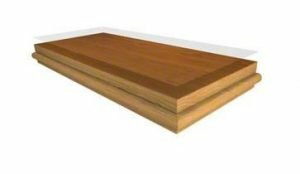 Although most engineered floors can also be glued, nailed, or stapled, they are also installed as “floating floors” meaning they interlock with one another to create a floor that essentially floats above the subfloor. Since they can float, most engineered floors can be installed on a concrete slab subfloor and even below grade. 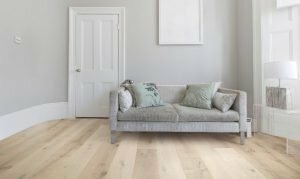 These are just a few reasons why engineered hardwood flooring might be a great choice for your home. 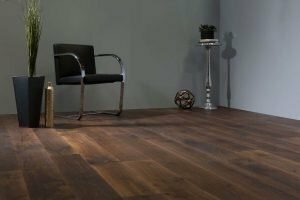 To learn more about wood flooring or to set up a meeting with one of our knowledgeable designers please give us a call today at 317.575.9540.